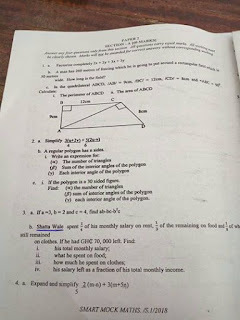 Shatta Wale’s name has popped up in a Mock Exam of Saint Martins Secondary School (SMARTS) In Nsawam in the Eastern Region of Ghana and the self-acclaimed Dancehall King can’t keep quiet about it on social media. In fact, he claims it’s a prophecy fulfilled by God. 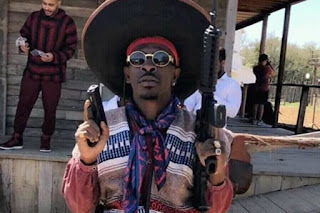 Shatta Wale, the Zylofon artist who is embroiled in a relationship troubles with his baby mama, Shatta Michy shared a screenshot of an exam he appeared in on his Facebook page and revealed that God prophesied it and it has come to pass. According to him, it was prophesied that kids will learn about him and truth to the word he is being studied in schools. This statement did not go down well with a section of his own followers who shred him to pieces for making a false statement whiles others hailed Shatta Wale as the champion of Ghana music.